The Faculty of Mechanical Engineering prepares its students to deal with challenges in such a way as to enable them to take front line positions in developing technologies in a wide spectrum of fields, including manufacturing machinery, robots, computerized mechanical systems for general and medical applications, electro-optic equipment, computer-aided planning, cooling of electronic chips, power stations for the production of electricity from renewable and non-renewable power sources, land air and sea transportation vehicles, and heating and cooling systems for climate control. The student receives a strong foundation in basic subjects such as: mathematics, physics, computers, dynamics, thermodynamics, flow theory, strength and control theory. Subsequently, the student may specialize in one or more of the diverse areas of the field. On both undergraduate and graduate levels the faculty offers a number of areas of specialization which include a varied list of elective courses, such as: advanced design and manufacturing, CAD-CAM, computer systems, control and automation, energy, mechatronics, nuclear energy, optics, and robotics. The course of studies of the faculty reflects the broad professional spectrum of mechanical engineering. The first five semesters of the undergraduate studies are devoted mostly to basic sciences and engineering sciences. In the last three semesters the student takes elective courses in accordance with his chosen area of specialization. The academic staff of the faculty is known for its liberal and supportive attitude towards its students. 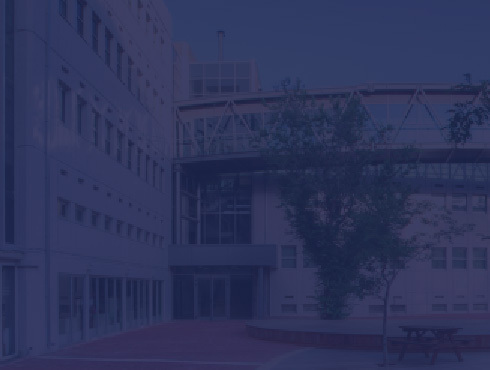 Additionally, the Faculty of Mechanical Engineering at the Technion offers a variety of graduate studies programs. In addition to theoretical studies the student receives training in the various laboratories which provides practical applications to the course material. In exceptional cases the student may also participate in the work of the staff’s research laboratories. Every undergraduate student, in the last semesters of his studies, carries out a number of projects, under supervision of experienced engineers, which illustrate applications to advanced engineering problems. Some of these projects are part of a team effort as is customary in industry. The employment of computers to solve complicated problems and for planning and production is an important part of the modern engineer’s training. Much emphasis is placed on the use of computers as an aid for planning, for production, in robotics and in solving complex problems. The faculty has a number of excellent computer farms which are equipped with varied software programs and are available to the students for their convenience.